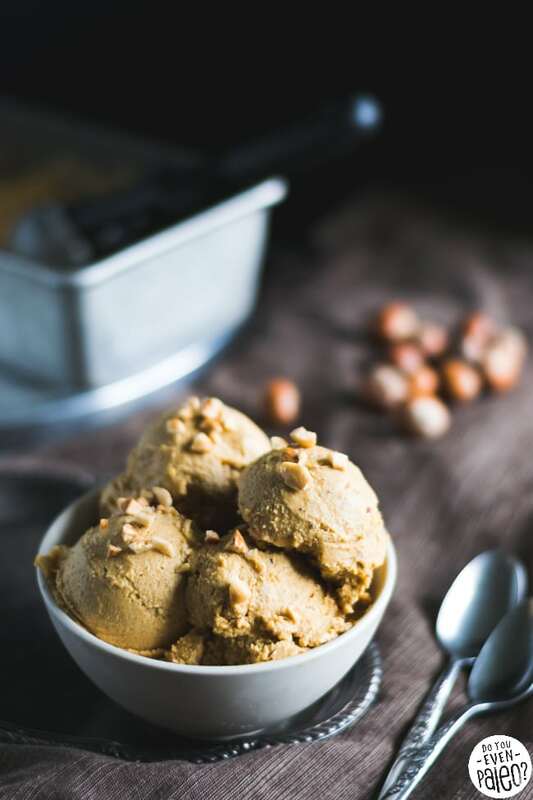 Quick—before it gets too cold for frozen desserts, make this paleo Pumpkin Hazelnut Ice Cream! Pumpkin and toasted hazelnut make a surprisingly happy pair. Just imagine replacing the chocolate in Nutella with pumpkin. Simply magical. 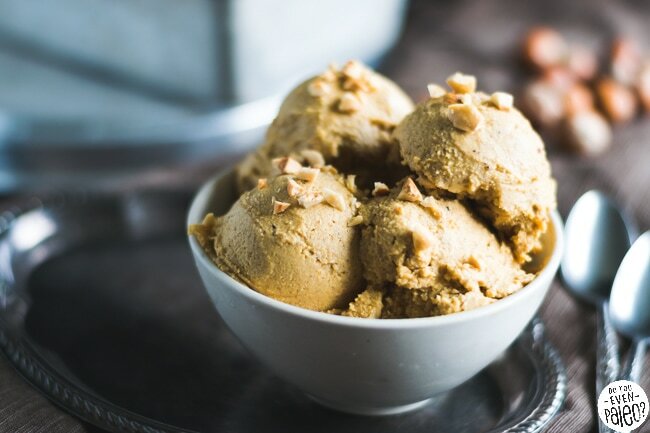 This ice cream is gluten free, dairy free, and paleo…all the things you come to this blog for! The inspiration for this recipe came from my recent trip to Oconomowoc, Wisconsin with my devoted spouse. On the last day of our trip, we went to a local gelato shop. 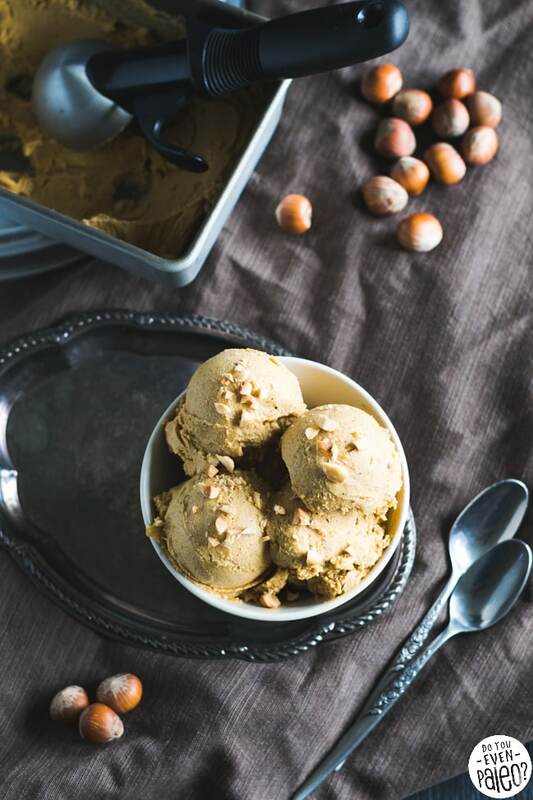 I chose a scoop of pumpkin and a scoop of hazelnut…and soon discovered that it was the flavor combo of my dreams. As soon as I had a taste of the two together, I knew I was going to try and recreate a paleo version at home! 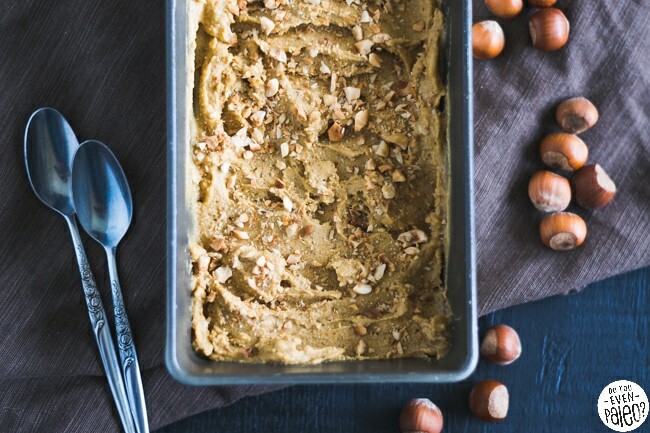 Of course, when you start with pumpkin puree and hazelnut butter, how can the results be anything except divine? Add coconut milk, a pumpkin spice blend, and a little gelatin, and we’re off. Ice cream can be super simple! 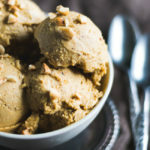 You can use store-bought hazelnut ice cream, but to save my wallet from unnecessary hardship I made my own. All you’ve got to do is follow the basic guidelines of my how-to for homemade sunflower seed butter. Toast and blend! 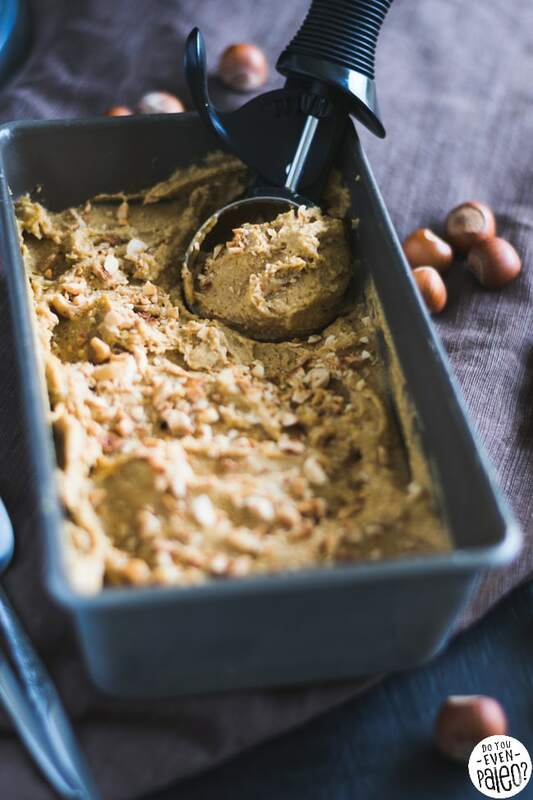 Nut butters are crazy easy. Then again, pumpkin puree is pretty darn easy too, but I went the convenient route and used organic canned pumpkin puree. The choice is yours. Oh, and you coconut haters? You won’t taste the coconut at all. I use coconut milk over other dairy-free milks because it has a higher fat content. Higher fat typically equals creamier, non-icy ice cream. That’s what you want. Trust me. Make sure your ice cream maker is ready to go. Freeze the freezer bowl overnight before you begin preparing the recipe. In a large bowl, sprinkle gelatin over 1/2 cup coconut milk. Let stand for 5-10 minutes to let the gelatin bloom. Gently heat the remaining coconut milk in the microwave or in a saucepan on the stove. It doesn’t need to be boiling, just warmed enough that it is uniformly smooth. Slowly pour the warmed coconut milk into the bowl with the gelatin mixture, whisking continuously. 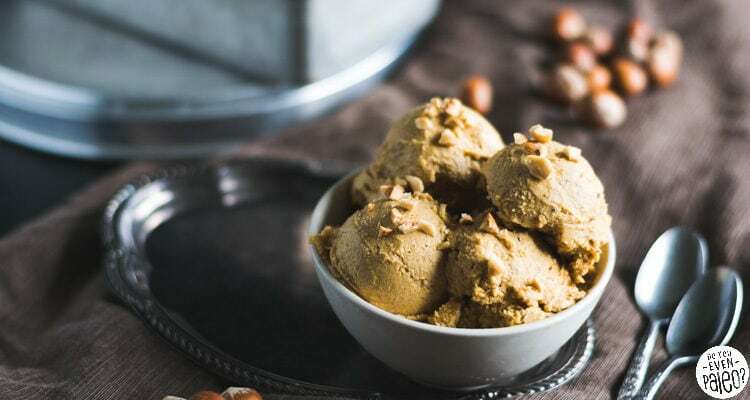 Add the hazelnut butter, coconut milk/gelatin mixture, pumpkin maple syrup, cinnamon, nutmeg, ginger, and clove to a high-powered blender or food processor. Blend for 2-3 minutes until smooth. Prepare the ice cream according to your ice cream maker’s instructions. For my Cuisinart model, I turn it on so it’s already spinning, then pour in the ice cream. After 40 minutes or so, it’s ready to go! Transfer the ice cream into a freezer-safe container. I used a loaf pan. If desired, sprinkle with 1/3 cup chopped toasted hazelnuts or drizzle in melted chocolate. Seal with plastic wrap – literally press to the top of the ice cream. This helps prevent freezer burn. Freeze for at least 4 hours before serving. What would happen if you didn’t use the gelatin? I don’t have any because it’s super expensive and I can’t imagine what else I would use it for. Thanks Chelsey, I do want to try this ice cream! 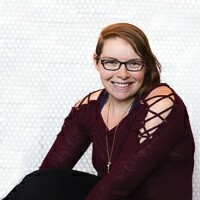 Kim Smyth recently posted…Where Do You Write Best? You could get away with not using it. I find gelatin just helps to add to the overall “creaminess” of the ice cream, and especially helps non-dairy ice cream remain scoopable. But it’s not a requirement! Thanks, Chelsea! Maybe I’ll try this over the holiday if I’m not laid up. I’m supposed to have neck surgery soon. Don't subscribe All Replies to my comments Notify me of followup comments via e-mail. You can also <a href='https://www.doyouevenpaleo.net/comment-subscriptions/?srp=3002&srk=87505361eee98908ddf6ccb8681f50d6&sra=s&srsrc=f'>subscribe</a> without commenting. 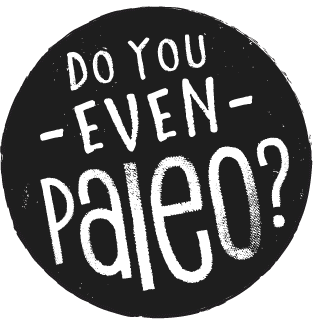 Do You Even Paleo Finally Gets A Refresh!